All the new parts are made from fiberglass Duraflex, and the new exterior look is complemented by a set of 20-inch alloys. Prior Design also offers R8 customers a selection of new exhaust systems, suspension kits, and a range of interior upgrades. The one area the company leaves well alone is the powerplant. The R8’s 5.2-liter naturally-aspirated V10 has been subjected to a range of upgrades over the years with Underground Racing’s 2,000-horsepower package at the extreme end of the market. 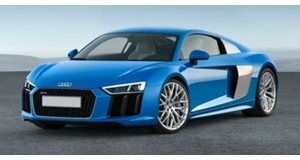 But if you're only interested in giving your R8 a new look, then get in touch with Prior Design for further details and more information about pricing.